East Rutherford, New Jersey is a great place to call home. From premier shopping to a multitude of sports teams and entertainment for all ages, East Rutherford has something for everyone. Whether you are preparing for a local or long distance move, Booth Movers is the number-one choice among East Rutherford moving companies. As a ProMover-certified business with a BBB accreditation, our northern New Jersey moving services offer the expertise necessary for handling relocations of any size. Since the 1940s, our northern New Jersey moving company has worked hard to establish a reputation for skillful, affordable moving and storage services. As trusted agents of Atlas Van Lines and partners of some of the best movers and storage experts around the globe, we provide our customers with start-to-finish excellence they can count on! Residential Moving – Our East Rutherford movers are equipped to easily and expertly handle residential moves of all sizes. Household Moving – For households of any size, Booth Movers offers trusted solutions for the packing, storing, and delivery of your property. Local Moving – As the premier choice among northern New Jersey Movers, Booth Movers offers over 60 years of expertise that people know and trust. Long Distance Moving – To make your long distance move as simple as possible, you can trust our East Rutherford movers to handle every detail, each step of the way. Interstate Moving – If you are ready to relocate to a new state, our East Rutherford moving company has the equipment and experience you need for a low-hassle move. Full-Service Moving – Booth Movers offers comprehensive moving and storage solutions that can be customized to meet your specific needs and budget. International Moving – Let our northern New Jersey movers help you plan your international move for a seamless, stress-free experience. Are you interested in learning more about our East Rutherford moving company? 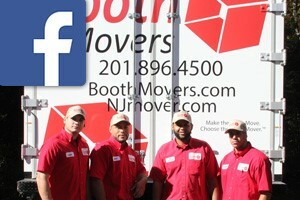 Give Booth Movers a call today or fill out our online form to request your free, no-obligation estimate!